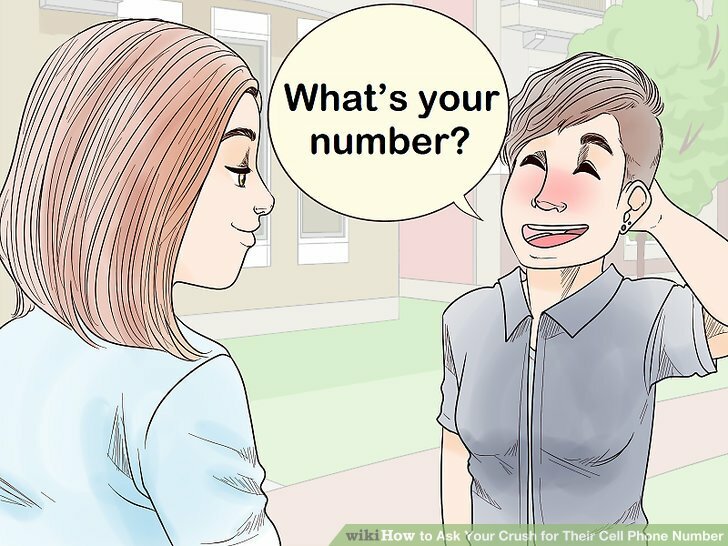 Asking your crush for their number can seem scary, but it doesn’t have to be! 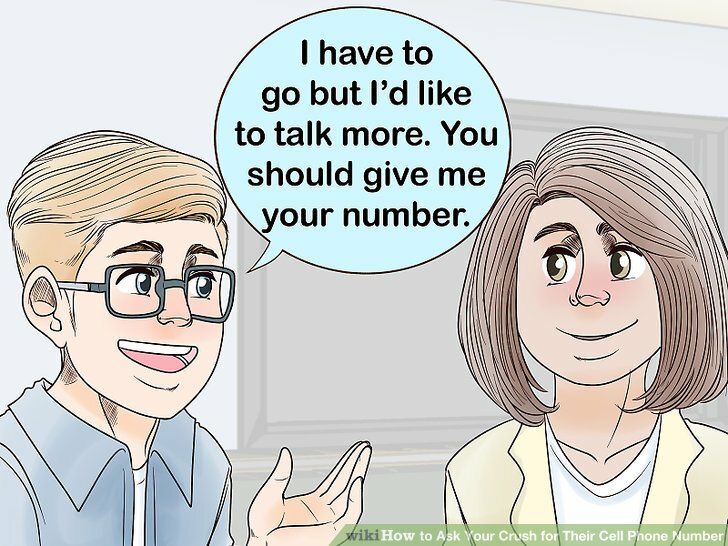 If you already have a good feeling about the conversation you’re having with your crush, you can easily ask them directly for their number using a choice of confident phrases. 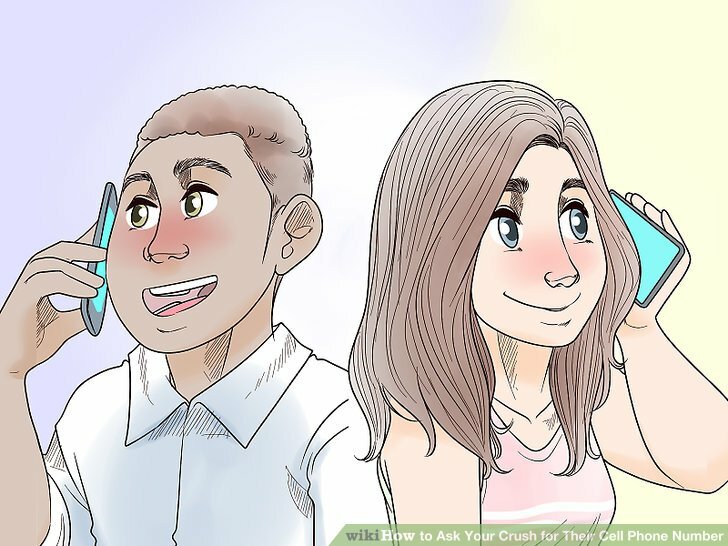 If you’re crushing on someone who you haven’t talked to much yet, there are ways to start a conversation with your crush. There are also more indirect, flirtatious ways to get your crush’s number. Smile and be confident. The most important thing when asking for a number is that you seem enthusiastic about the idea of calling your crush. 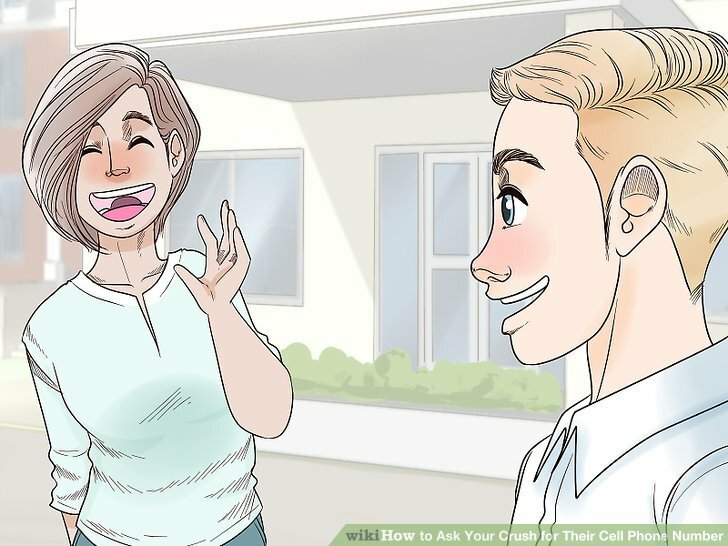 Practice smiling and asking for your crush’s number in the mirror before you actually do it; this can help you work through your nervousness before you talk to them. 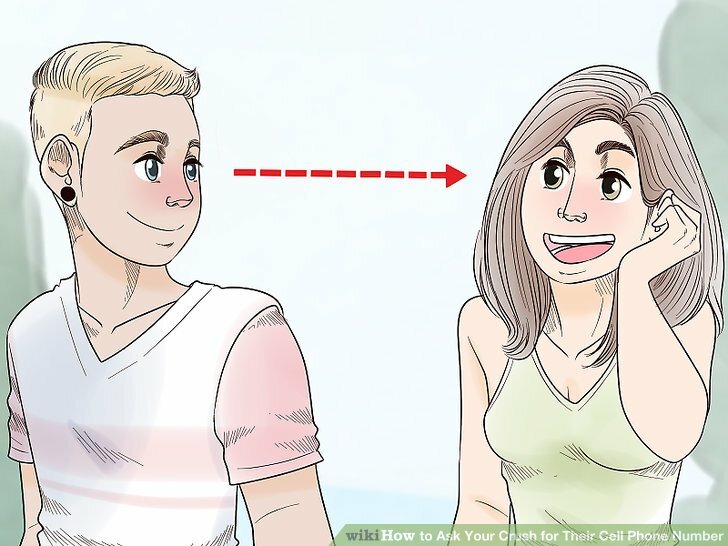 To appear more confident even if you’re not feeling confident, smile, stand up straight, and make eye contact with your crush when talking to them. Remember that you want to date someone who’s interested in you, so you need to appear interested in them. Being too nervous may make it unclear that you actually like them. 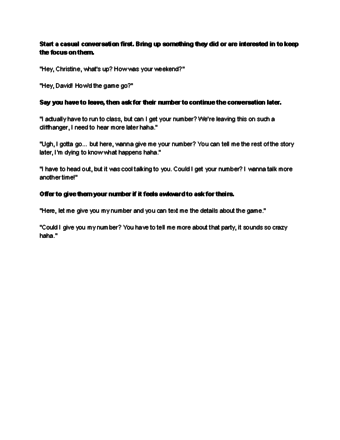 Ask “What’s your number?” as the simplest approach. If a conversation is going well, you can simply ask your crush for their number. This shows that you’re interested in talking to them more and you’re confident that they would want to give their number to you. 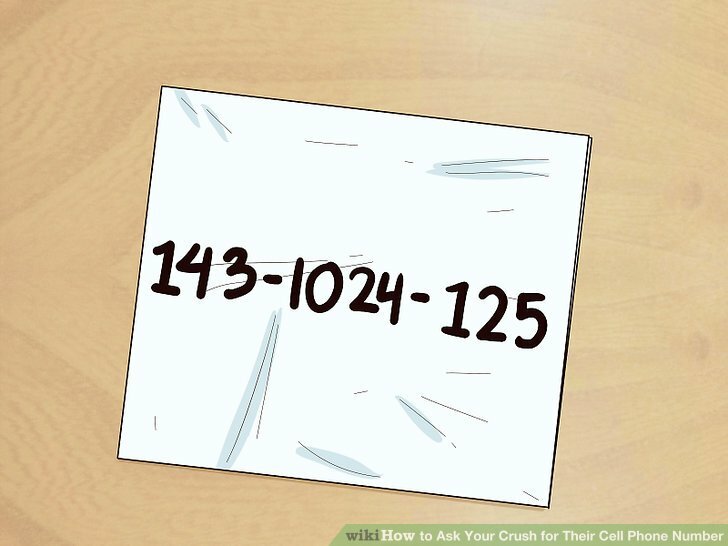 Have your phone or a pen out and ready when you ask; this shows that you have no doubt about your crush giving you their number. Try “I have to go but I’d like to talk more. 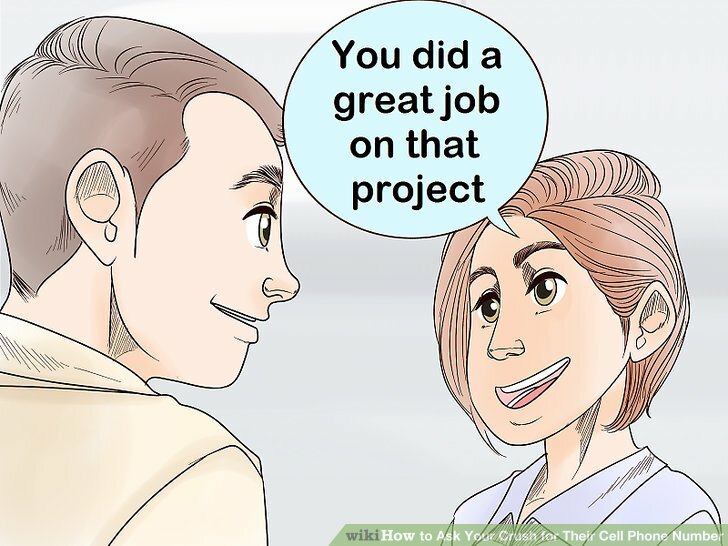 You should give me your number.” This approach lets the person know directly that you want to talk to them again, and also that you’re busy and organized. Have your phone or a pen ready to get their number quickly. Follow up with your crush soon after this conversation by texting them “Looking forward to that party” or something similar. Give them your number first if you’re too nervous to ask for theirs. 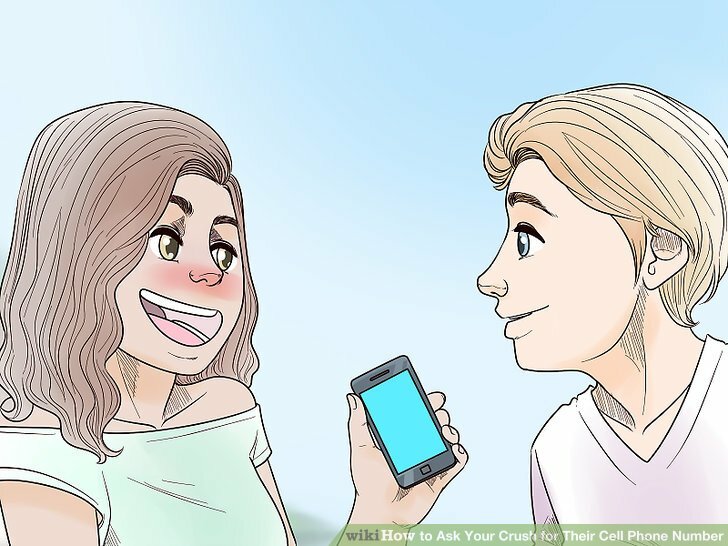 Say, “I’d like to talk to you more, let me give you my number.” This works well if your crush has their phone out already; you can hold your hand out as you say “let me give you my number” to enter your number in their phone for them. Don’t grab your crush’s phone from their hand; this may come across as aggressive. If your crush seems reluctant to hand over their phone, just wait for them to respond. They will probably look down at their phone as they type and let you know when they’re ready for the number. Smile and say “no problem” if they say no. Always remember that you want to date someone who’s interested in you, and if your crush isn’t, it’s better for you to know and move on. Don’t ask them again or try to pressure them, cry, or look embarrassed. Even if you feel embarrassed, try to shrug it off as no big deal. Try not to worry much about being rejected. It happens to people all the time, and you will eventually find someone who is interested in you. Give them a genuine compliment before asking for their number. A great way to get your crush’s attention is by complimenting them. Tell them you like something that they’re wearing or something they did, then say something else to give them the chance to respond. If your conversation goes well, ask for their number at the end of it or next time you see them. Ask them to help you with something then ask for their number. This works well if you see someone out in public who you’d like to talk to. Get their attention by asking for directions or help getting something from a shelf. 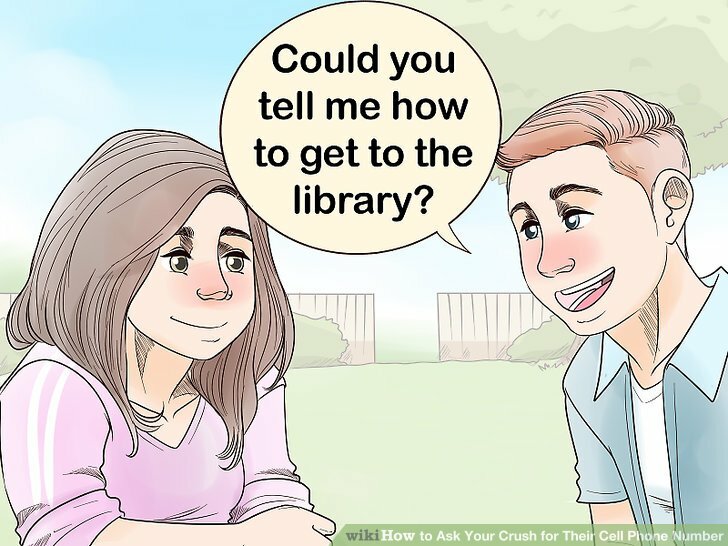 Try, “Excuse me, could you tell me how to get to the library?” or “Are you able to reach this for me?” After they help you, thank them and try starting another conversation and asking for their number if they seem interested in you. If the person avoids you or helps you quickly then walks away, thank them and then leave them alone. Do not follow a person in public, or they may think you are harassing them. If they seem interested in studying with you, mention a certain time and place to meet, and ask for their number so you can stay in touch about the meeting. Invite them to do something they’re interested in so they give you their number. 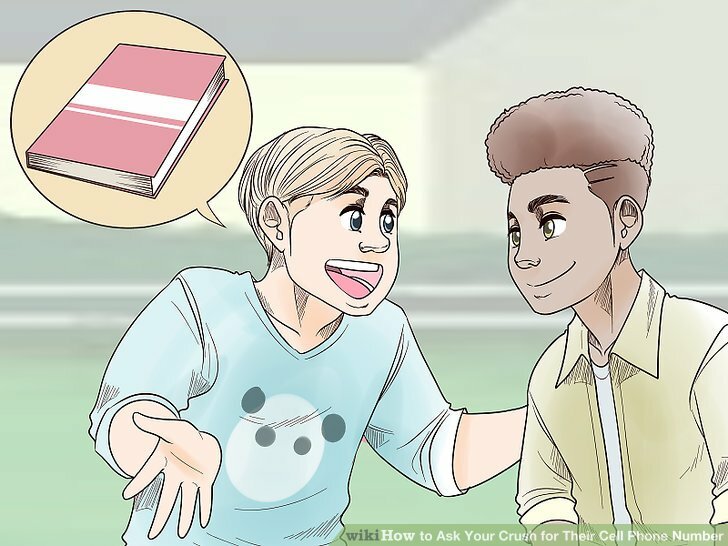 If you know that your crush plays a certain sport or instrument, or likes a certain type of music, bring the topic up with them when you see them. Tell them about a game or concert that’s happening and ask if they’d like to go with you. Or if you can’t pay for tickets, invite them to play the sport with you, go on a bike ride, or go to a music store with you. If they seem interested in your idea, ask for their number so you can make further plans. Read their signals. When having a conversation with your crush, it’s important to watch for signs that they’re interested in you. If they smile, make eye contact, and answer your questions enthusiastically, these are all signs that they are possibly interested in exchanging numbers. On the other hand, if your crush avoids eye contact, tries to walk away or look away from you, or doesn’t answer you or gives one-word responses, these are all signals that they may not be interested, unfortunately. Don’t appear desperate or needy, and back off. Call or text yourself from their phone. If you’ve already established a good rapport with your crush, you can playfully reach for their phone when they have it out. When you do this, say, “I’m giving you my number. We should hang out sometime,” so they don’t think you’re just trying to creep or be nosy on their phone. Once your crush has your number, they’ll give you their number by calling or texting you if they’re interested. Make flirty comments on social media. 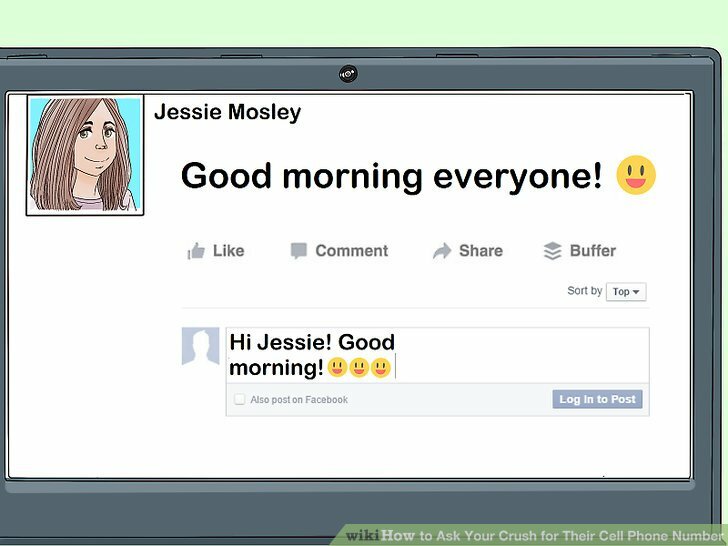 Facebook, Instagram, Twitter, and Snapchat are all ways to get your crush’s attention that aren’t as direct as asking for their number in person. Send them a friend or follow request and start liking their posts. Gradually leave compliments and nice comments on their posts to establish a good rapport. If your crush starts liking and leaving nice comments back on your social media posts, it’s possible that they’re interested in you and you can confidently ask for their number. Leave them a direct message on whatever app you’ve been connecting on. Ask if they’d like to get together in person sometime, and if so, if you can have their number to text them. Write your number on a napkin or comment card. If your crush works at a restaurant or other public place, you can flirtatiously express your interest in them by giving them your number on a napkin or comment card. Be sure to leave your name with the number. If they’re interested, all you have to do is wait for their call or text. 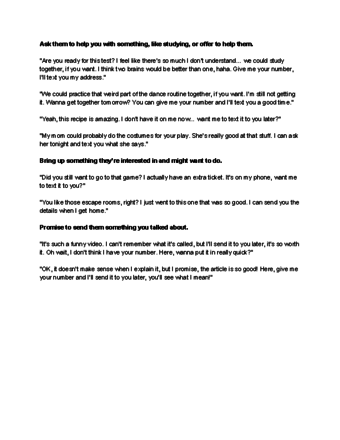 Think twice before saying, “Can I?” or “Is it okay if?” Starting your request for your crush’s number with these phrases may make you sound unsure of yourself and of your chances that you’re getting their number. Remember to sound confident, even if you’re actually nervous. Infotype 0006 in PA20 has no CELL no., yet in SE12 there is CELL no. ?